The UK’s retail industry continues to evolve at breakneck speed, and staying ahead of the curve is becoming increasingly difficult. Visual merchandising, in particular, is having to adapt to an ever-changing landscape; the result of growing online sales and the influence of social media. Brick-and-mortar retail businesses that want to thrive in this new world need to innovate and evolve — through, among other things, a creative approach to visual merchandising. Here are five visual merchandising trends that are helping independent retailers to grow in 2018. High-profile public places such as theme parks and sports stadiums have long had their own “Instagram zones”. These photogenic spaces create images that prompt online discussion and sharing on a mass scale — two events that are always good for business. Create an eye-catching corner that allows your customers to capture the essence of the shopping experience you deliver. Fill the space with your most alluring products, and include your store name or logo if possible. You should find that your customers soon become your most valuable marketing weapons. Shoppers no longer want to sift through hundreds of products in order to find what they’re looking for — they can do that at home on their tablet computers. In the e-commerce age, shoppers want to be inspired, and they want to discover products in all of their natural beauty. One way to make top products inspirational is to make them the star of the show. Remove all other distractions — including colour, furniture and repetitious items — to make the best products stand out. The likes of Issey Miyake in London’s Mayfair has succeeded in the use of whitewashing as a way of showcasing premium products. Most retailers have specific products that deliver better-than-average margins — and these are the products that need showcasing in a brick-and-mortar store. Dynamic lighting has the power to influence the purchasing decisions of buyers like very few tools at the average shop-owner’s disposal. Indeed, according to the International Journal of Science and Research, a fourth of shoppers make impulse purchases because of stylised lighting. By experimenting with different colours, intensities, direction and movement, store owners and managers can use light to accentuate specific design details and motifs. And the use of dimmed lighting in areas without products keeps the shopper’s attention on what’s really important. 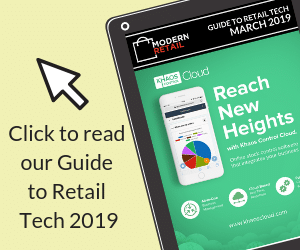 Rather than trying to differentiate their stores from online competitors, retail entrepreneurs are now beginning to embrace digital tools and Internet-enabled technology. Take Mac Cosmetics’ “Virtual Try-On Mirror”, for instance. Consumers can get an idea of how various cosmetic products will look on their face simply by looking at a screen. Other retailers are offering customers the chance to search for the products they want using in-store computers and mobile apps. Even the smallest retail operations can usually stretch to a tablet computer or two. It’s possible to allow customers to browse a store’s entire inventory without taking a step. This type of virtual merchandising display saves space, makes inventory control easier and, most importantly, improves the shopping experience. Despite the ease at which consumers can now buy almost anything online, there’s still a lot to be said for the tactile, hands-on shopping experience. More and more independent retailers are creating a “third place”, where consumers can relax for a while, spend time with friends and generally relax. This type of experience can be delivered with something as simple as a seated area, a coffee machine and a select selection of products. People need an incentive to visit brick-and-mortar stores these days, and the opportunity for a day out is just that. Visual merchandising in the UK’s retail industry is constantly evolving. If you can stay ahead of the curve, you can make your own retail proposition stand out from the competition.